How To Create Puff or 3D Embroidery Designs! 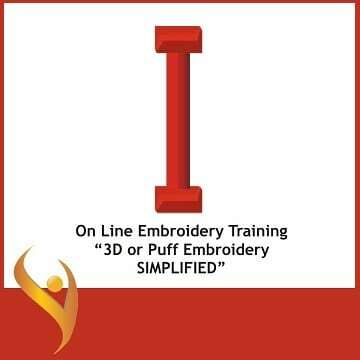 Attention: All Embroiderers-How To Create Puff or 3D Embroidery Designs! Learn The Simple Step by Step Process For Creating Puff Embroidery That Sews Out Great Every Single Time! Are you turning down Puff or 3D Embroidery Design jobs that could be making your money because you are afraid of it or do not know how to do it? I know how you feel! I was scared to death to do puff embroidery! I just knew that it was going to ruin my machine! I knew that I was not going to be able to do a good job so I just turned it down for many years! That was a huge mistake! Once I plunged it and decided to give it a try I was amazed how simple it really was! I worked and worked trying to get a simple method down; one that my embroiderers could handle without any issues. After I had it perfected, I was very excited and started promoting it to my customers and it went over big! I shutter to think of all of the money that I threw down the tubes because of my fear! Is that the way that you are feeling about Puff or 3D embroidery? If it is, now is the time to set all of that fear aside and learn this simple process and just start doing it! Do not make the mistake that I made and throw all of that money away! I Know How It Feels To Work So Hard, To Continuously Struggle And Not Have Anyone To Help Me Learn The Many Techniques That I Needed To Make Money! Can You Relate To That? I am Joyce Jagger, The Embroidery Coach and I am here to help you get your own embroidery business started quickly and make it easier for you so that you can avoid a long learning curve! My passion is to help you improve your embroidery skills so that you can provide higher quality products and increase your embroidery business profits! As a former owner of a profitable embroidery business I am now in the business of helping you start your own profitable embroidery business or help you take your current embroidery business to a higher level. I have helped many embroidery business owners turn their unprofitable businesses into a business that they could be very proud of. I have worked with brand new embroiderers getting them started on the right path from day one and they have created very profitable embroidery businesses! I have spent over a decade helping other embroiderers increase their profits. An embroidery business can be very lucrative when you have the right systems, approach and tools in place! Now I have created a program that is going to help you make more money! When you have this skill perfected, you can market it to a much wider audience and increase your profits! This simple step by step program that will teach you how to create your Puff or 3D Embroidery Designs, Puff Embroidery Simplified!” This simple step by step method can be used to create any type of shape or letter that your customer is wanting for their custom puff embroidery designs. You can start out by promoting a simple 2 inch Full Block letter on the front of caps that I give you, free of charge for purchasing this program! I want you to get started quickly! 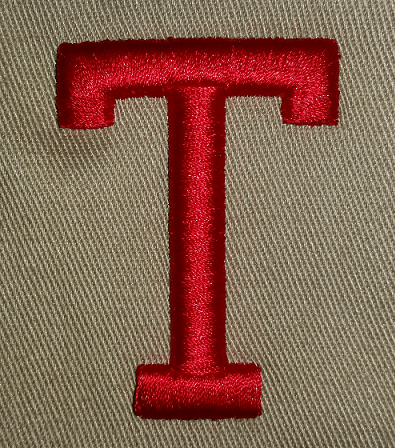 Anyone that has an embroidery machine can do this with these letters that I have already digitized for you! Inside Of This On-Line Program You Will Receive Videos, Step by Step Written Instructions & The Entire 2 Inch Full Block Puff Embroidery Font! Free 2 Inch Full Block Digitized Puff Embroidery Letters – .dst Format – Ready for you to start sewing immediately! ($500.00 value) if you were to have these letters digitized! You cannot find a 3D font file of this value to purchase! Yes, I want to get started TODAY with this amazing program teaching me How To Create Puff or 3D Embroidery! If you are looking for more advanced embroidery business building strategies like Planning, Pricing or Marketing, check out our Gold Plus Level of The Embroidery Training Resource Center! Click here to find out more about the Gold Plus Level!